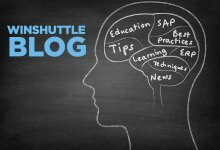 It may seem early but a lot of work has already gone into the upcoming Winshuttle User Group Conference, taking place this October in Chicago. More details can be found here. We had a great conference last year in New Orleans, and we have very ambitious plans for this year’s show. With over 400 Winshuttle users from North America attending, this WUG will be bigger, more informative, and will offer so much more than anything we’ve done before. We have also expanded the agenda with additional customer presentations and training sessions to choose from, including Microsoft Certified experts providing training in Excel. Speaker abstracts have been coming in and we have a lot to review, which means we’ll have a wide variety of real life examples and use cases. We are very excited to announce that Harold Hambrose, CEO of Electronic Ink and the author of “Wrench in the System: What’s sabotaging your business software and how you can release the power to innovate” will be our keynote speaker. Harold is a design and usability expert and renowned public speaker and I know you’ll find his experience and insights very valuable. Harold will also be leading a workshop in one of the breakout sessions. Of course the Winshuttle team, including our product and support gurus (as well as Brushy) will be on hand to answer your questions, and we already have folks registering. Please take advantage of our 2-for-1 early bird pricing and come and join us in the windy city for what promises to be a great event. We look forward to seeing you there.